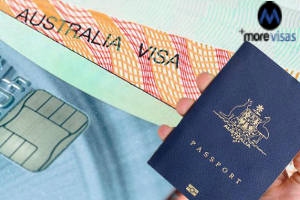 The Government in Australia will introduce an innovative visa, for talented businessmen who are eager to establish a functioning business within its shores. It does not need a mandatory fund outlay, and the applicant needs to speak vocational English. At present, many permanent residents who have a nomination of South Australia move to other areas like Melbourne and Sydney, for better opportunities. The policies in SA today focus only on business migration and have no plans to retain skilled migrants in the state. The Federal Government notified that for increased employment opportunities, it is introducing a fresh Visa for promoting entrepreneurship and advance the state economy. Moreover, it has assured the Liberals in the state that this pilot is meant for South Australia. Minister of Home Affairs - Peter Dutton has stated that the Government has decided to focus on more employment opportunities, and enhance the standard of living, for countrymen, which was possible through the growth of business and investment in Australia. As a part of the fresh visa, foreign entrepreneurs as well as investors, who work a pioneering idea and have a fine strategy to support it, can opt for a Temporary Visa fo eastablishing their business venture in Australia. The Entrepreneur Visa, existing now, requires a capital investment of $200,000, which is not needed for the proposed visa. The business proposals put forth by the applicants will be seen by the State/Federal Government authorities before the temporary visa is given. Aspiring entrepreneurs, who are at the formative stage to take forward their innovative ideas, will boost job growth in the future tremendously. Successful Entrepreneurs keen on establishing their businesses can submit an application to get the permanent residence. The age of the applicants should be below 45 years and he/she must possess vocational level band 5 of English, in each of four components, of the IELTS. This arrangement will help the participants to submit an application to get the permanent residence.